"Miss Sharon Jones!" will be released on July 29 in New York with an expansion to follow. The powerful documentary “Miss Sharon Jones!” follows the iconic soul singer and leader of The Dap-Kings in the hardest year of her life as she battles a cancer diagnosis and struggles to maintain her band. Exemplifying the gritty majesty of cinema-vérité, filmmaker Barbara Kopple follows Jones over an uncertain year and intimately paints her as a necessary presence in the music scene, an R&B queen that doesn’t know the meaning of “quit.” Check out an exclusive poster from the film below. For years, Sharon Jones struggles to make it as a singer, but since she was never offered a recording contract, she spent many years working as a corrections officer at Rikers Island and as an armored car guard for Wells Fargo Bank. Finally in 1996, she appeared on a session backing soul legend Lee Fields. Soon, she started recording singles and covers on her own, and in 2002, she formed Sharon Jones and The Dap-Kings and released their first album on the Daptones record label. She has since released six albums on the label. Director Barbara Kopple has garnered widespread critical acclaim for her documentaries. She won two Best Documentary Oscars for her 1976 film “Harlan County, USA,” about a miners strike against the Duke Power Company-owned Eastover Coal Company’s Brookside Mine and Prep Plant in Kentucky, and her 1991 film “American Dream,” about an unsuccessful strike in Austin, Minnesota against the Hormel Foods corporation. 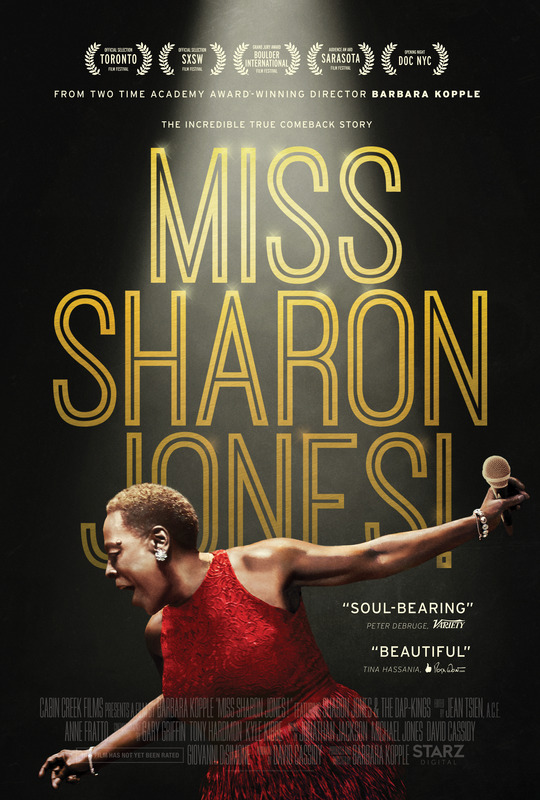 “Miss Sharon Jones!” will be released by Starz Digital on July 29 in New York and will expand nationally in the following weeks.